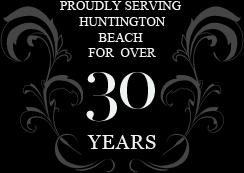 Edindale Cleaners is a family-owned and operated business serving the greater Huntington Beach area since 1977 . Our motto has always been to ensure that every customer has a feeling of satisfaction and confidence in the quality of our work. We consistently aim to please, by offering competitive prices, unbeatable specials and first-rate customer service. We have dry cleaning machines on the premise for a quick turn around time for those "emergency" situations. Our tailoring and alterations department stitches to perfection where no job is too big or too small; and lastly we offer unbeatable tuxedo specials for all occasions and bridal alterations expertise. Our tuxedos are only of the highest quality made of 100% wool. Whether we are dry-cleaning your favorite blouse, hemming those newly purchased pants, altering that beautiful dress, or fitting you for your prom tuxedo, we always strive to give 110% effort. Please come in to witness the dry-cleaning experience of a lifetime. Our new website has launched! Thank you for all your support!